New Jersey Horse Rescue View other Horses for adoption. 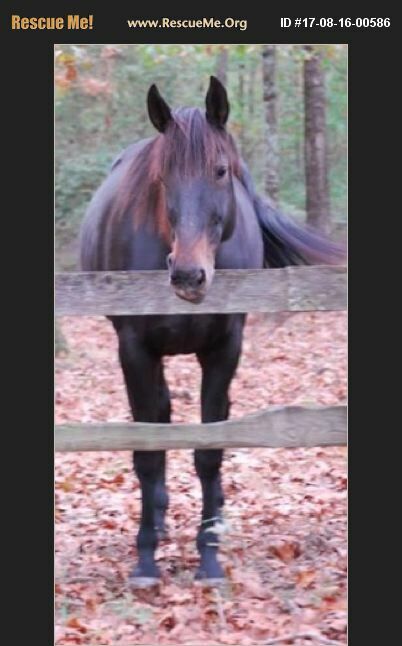 KALINE- 18 year-old 17hh Standardbred gelding- companion/pasture pet only. Kaline was a popular racehorse who supported HRU for many years thanks to his generous owner. He had 202 starts, won 41 times (31 seconds and 26 thirds) and had total earnings of $570,000. In 2007, he was the highest money earner for nine year-olds in the US. Kaline retired from racing in July 2010. Kaline is sweet as can be and the best companion horse ever, great with all other horses. He is a harder keeper who requires a good amount of feed. Kaline currently lives outside 24/7 with a shed. Available FREE to an approved home with contract with a minimum 60 day trial period. Adopter must be located within an eight (8) hour drive of Howell, NJ OR in the Lexington, Kentucky area. For more information or to request an application, please email lunar_aradia@yahoo.com. Adopt from HRU and you'll receive a painting of your horse after a successful trial period! You may also qualify for FREE transport within 200 miles of Central New Jersey.